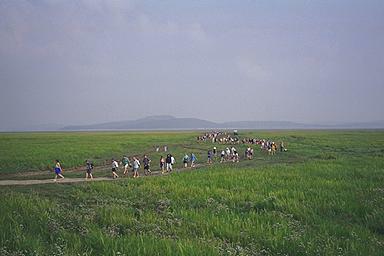 The walkers are allowed to straggle on the harder sands as they approach dry land at Kents Bank. Arnside Knott can be seen on the horizon across Morecambe Bay. Larger version of this picture.